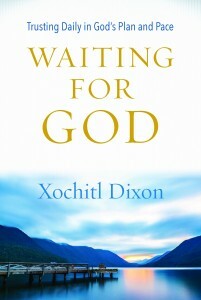 Waiting for God: Trusting Daily in God’s Plan and Pace is available for pre-order on Amazon today! We’ll be going through the daily devotions on this blog after the book releases on August 7, 2019. I look forward to growing with you! 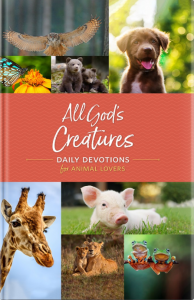 God has blessed me with the privilege of contributing 15 devotions in Guideposts’ 2019 edition All God’s Creatures. To order your copy, please visit the Guideposts’ website today! 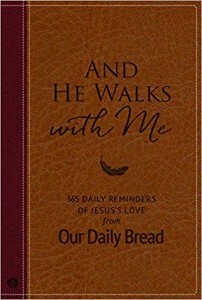 And He Walks with Me: 365 Daily Reminders of God’s Love from Our Daily Bread releases October 2, 2019. The Lord blessed me with the opportunity to contribute devotions to this beautiful compilation, along with some of my favorite Our Daily Bread writers, including Bill Crowder, Patricia Raybon, James Banks, Amy Peterson, and Marvin Williams. 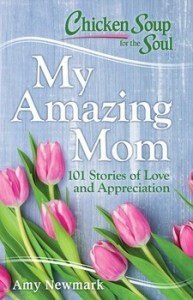 I look forward God lavishing us with His perfect love through the pages of this heart-transforming compilation. 1st Place Winner, Oregon Christian Writers’ Cascade Contest: Loser Girl Extraordinaire (Unpublished YA Contemporary Fiction, August 2017). Semifinalist, American Christian Fiction Writers’ Genesis Contest: Loser Girl Extraordinaire (Unpublished YA Contemporary Fiction, May 2017). 1st Place Winner, West Coast Christian Writers’ Contest: “The Biggest Step” (Short Story, February 2017). Personal blog (www.xedixon.com – 2010-Current). Devotional: Waiting for God: Trusting Daily in God’s Plan and Pace (Discovery House, Fall 2019). Article: “The Restoring Community: The Church’s Healing Role in a Hurting Body” (Church Health Reader, Winter Issue 2019). Short Story: “Emma’s Dancing Socks” (LIVE Magazine, January 2019). Short Story: “The Biggest Step” (LIVE Magazine, June 2019). 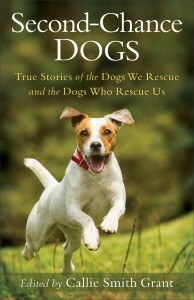 Compilation: “Beautifully Imperfect” (Second Chance Dogs: True Stories of the Dogs We Rescue and the Dogs Who Rescue Us, Revell, October 2018). 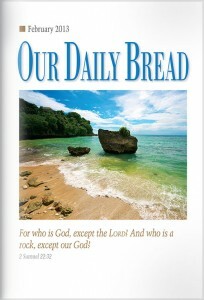 Devotions: “My Real Face” and “Getting a Grip on Gratitude” (Our Daily Bread, October 2018). Devotions: “Beyond the Stars” and “The Right Way to Pray” (Our Daily Bread, September 2018). Devotions: “A Good Daddy” and “Generous Givers” (Our Daily Bread, August 2018). Devotions: “I See You” and “Lavish Expressions of Love” (Our Daily Bread, July 2018). Devotions: “The Perfect Father” and “As Advertised” (Our Daily Bread, June 2018). 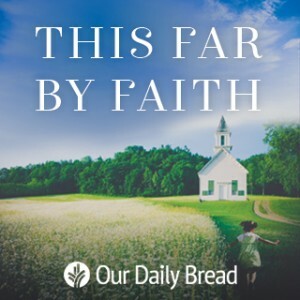 Devotions: “We Won’t Break,” “Glory to the Grower,” “Only by Prayer,” “On-the-Job Training,” and “Persevering with Peace” (Our Daily Bread, March 2018-May 2018). Compilation: “In Lieu of Flowers” (Chicken Soup for the Soul: My Amazing Mom, May 2018). Devotions: “Trusting God Even If,” “Everlasting Hope,” “Faith-Building Memories,” “The Debt Eraser,” “Able and Available,” and “Fearless Giving” (Our Daily Bread, December 2017-February 2018). Compilation: “The Victory of Powerful Peacemakers: Dr. Mary McLeod Bethune,” Our Help, Our Daily Bread Devotional (Our Daily Bread, 2018). Devotion: “Power of a Peacemaker,” (This Far by Faith: Celebrating Historically Black Church Legacies, Our Daily Bread Special Edition (Fall/Winter 2017). Devotions: “Priceless Worship,” “Sweet and Sour,” “We’ve Got the Power,” “Trust Tally,” “Seeing Masterpieces,” and “We Have a King!” (Our Daily Bread, September-November 2017). 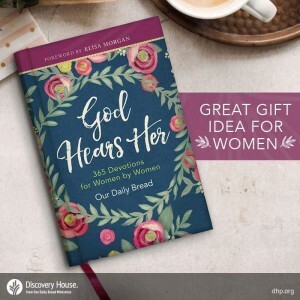 Devotional Compilation: Eleven of my devotions, previously published in Our Daily Bread, are included in God Hears Her (Discovery House, September 2017). Devotions: “Nothing is Useless,” “Sharing a Cup of Comfort,” “Soaking Up God’s Word,” “Destroying the Divides,” “Reflecting God’s Love,” “Our Guilt is Gone,” and “Overflowing Fruit” (Our Daily Bread, June-August 2017). Personal Story Snippets: “Labor of Love,” “More than a Mom,” and “In This Together,” included in As My Parents Age: Reflections on Life, Love, and Change by Cynthia Ruchti (Worthy Inspired, June 2017). Poem: “Good News,” Short and Sweet compilation (Grace Publishing, May 2017). Devotions: “When Yes Means No,” “Should I Forgive?”, “Forever Flowers,” and “Expect and Extend Mercy” (Our Daily Bread, March-May 2017). Quotes included in The Mean Mom’s Guide to Raising Great Kids by Joanne Kraft (Leafwood Publishers, March 2015). Devotion: “The Master Craftsman” (The Upper Room, Jan/Feb 2014). Article/Testimony included in The Bare Naked Truth: Dating, Waiting, and God’s Purity Plan by Bekah Hamrick (Zondervan, May 2013), using pen name Stephanie Dixon. Short Stories: “Crossing the Line,” “The Promise,” and “A Beautiful Mess” (ENCOUNTER−The Magazine, Standard Publishing, 2013). Short Stories: “The Apology” and “Never Alone” (ENCOUNTER−The Magazine, Standard Publishing, 2012). Poem: “Amazing by Grace” (Devo ‘Zine for Teens, The Upper Room, 2012). To purchase God Hears Her for a great price from Discovery House, click here. To subscribe to receive daily encouragement devotions from Our Daily Bread Ministries, click here. Thanks for taking time to worship the Lord with me!